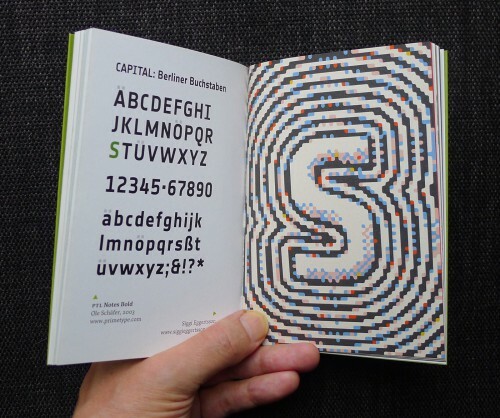 S from Ole Schäfer’s PTL Notes Bold (primetype), pixelated by Icelandic illustrator and lettering artist Siggi Eggertsson. Z: glyph from Verena Gerlach’s FF Karbid Slab Light Italic, staged by designer-animoator Emilia Forstreuter. In 2011, American type designer Rob Keller and his then wife Sonja Keller started up a typographic gallery and bookshop under the same name as Rob’s typefoundry, Mota Italic. In just over two years, they managed to organize sixteen exhibitions, plus lectures and workshops. 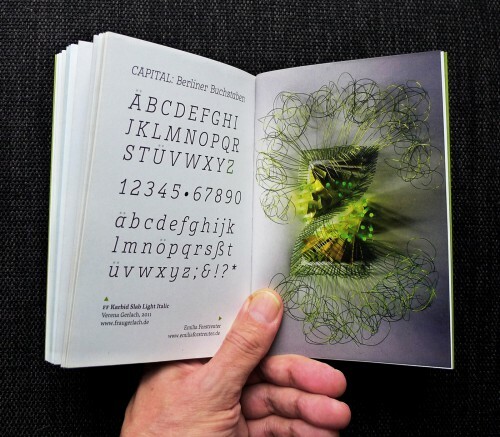 Mota Italic also produced printed matter – postcards, giveaways, and this delightful booklet that accompanied their very first exhibition, Capital. For the show, Rob invited 27 Berlin artists, illustrators and graphic designers to create a piece using one letter from a typeface by a Berlin designer, and asked 27 type designers to make a font available for that purpose. The result was a rich and varied collection of letters-turned-image, from smart abstracts to glyphs caught in exuberant ornamentation. The capital of the title is, of course, Berlin: as capital of Germany, but also as European capital of independent type design. In my introduction I tried to describe the unique developments that lead to this special role, and the somewhat peculiar way in which the Berlin design scene works. 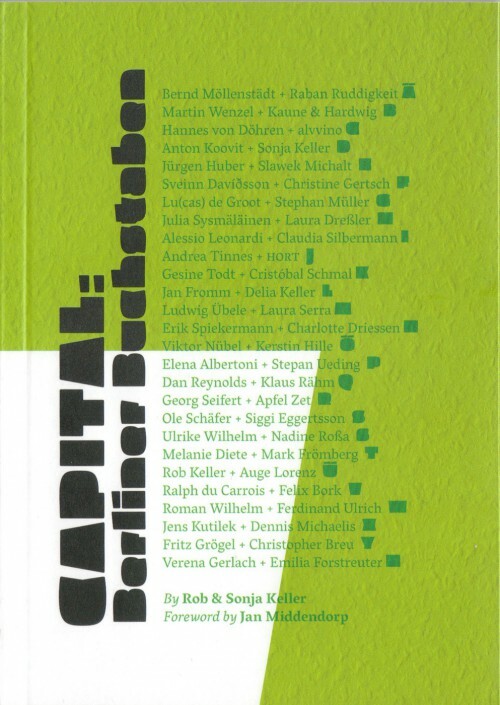 The original English text of my article is here, Sonja’s German translation is here. When Mota Italic was about to close down, I wrote an overview of their activities for our portal site MyFonts.de.